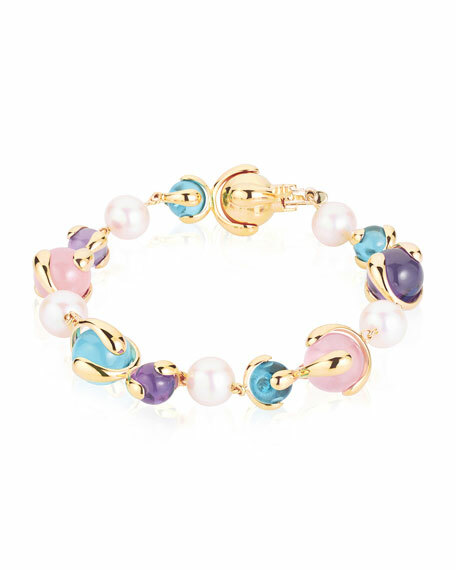 Marina B mixed station bracelet from the Cardan Collection. Polished 18-karat yellow gold hardware and frame. 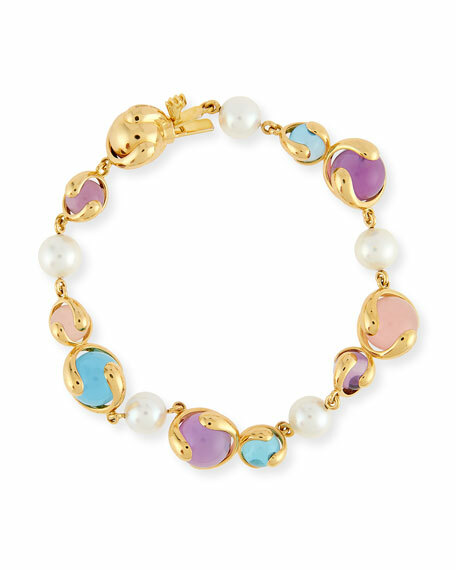 Five naturally colored, freshwater cultured pearls. Mixed amethyst, blue topaz and rose quartz. 18.97 total pearl carat weight. 18.41 total amethyst carat weight. 14.71 total topaz carat weight. 9.06 total quartz carat weight. For in-store inquiries, use sku #2431489.